Basketball Hall of Famer Jo Jo White, a two-time NBA champion with the Boston Celtics and an Olympic gold medalist, has died, according to the Associated Press. He was 71. For full coverage and obituary from Legacy.com, click here. Watching Jojo play in the early 70`s peaked my lifelong interest in basketball and the Celtics. He exemplified all that was good about sports, honor, and hard work. It seems it was a life well lived. JoJO was a great player. he was the smallest celtic to play, but what a player. sorry to hear about his passing. great player.that was great team back then,. larry bird, Robert PARRISH, kEVIN mCCHALE. DANNY AINGE.used to live in new England, but still a die hard Boston teams, my the patriots, to the Celtics, red sox, bruins. one of the more underrated of the celtic players in their history JoJo was the glue to those championship teams in the 1970's, God be with you thoughts and prayers to the family and friends RIP JoJo!!! 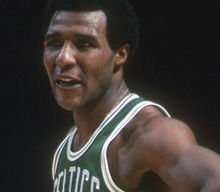 Jo Jo White you gave me so much joy watching you play for the Boston Celtics. You are and always will my favorite Celtics of All Time. Watching run the floor with those low top sneakers always caught my eye. Best game for me was the against the Phoenix Suns in the NBA Finals. In those over time games you left it all on the floor. RIP my Friends #10 will never be worn by other Celtic but you. ALWAYS enjoyed watching Jo Jo playing basketball with the Celtics while growing up. Thank you for your contributions in life...RIP Jo Jo White! Wow what a talent! Mr. White was loved by his fans especially those in Boston and will be missed by the NBA organization. Jo Jo is not in pain anymore. The Bible compares death to a deep sleep. You will be missed by many people worldwide. My prayers go out to Mr. White's family. Our deepest condolences to the White family. May God, the Almighty give you peace, comfort and fill your heart with serenity. JoJo will be missed by all the people who knew him. He was truly a legend, a gentleman, and kind person. We loved seeing JoJo on Sunday accompanied by his wife at Eagle Heights Church, always with a big smile. Thank you for your all contributions to our society and to the state of Massachusetts. Our deepest condolences to Debbie and the White family. It was an honor to have met Jo Jo and to be able to get to know him at the games. May his memories bring you comfort. My sincere condolences at times such as this,few words of comfort maybe all that you can bear,so rely on God of all comfort and he will comfort you every morning in times of distress Isaiah 33:2. To DEBBIE and entire WHITE FAMILY, Jo Jo was a very unique and genuine person. He was admired and loved by all of us who had the opportunity to have barbecue, play cards and spend the night at the White home. Our Prayers, Thoughts and Love are with you during these difficult times! Thinking of you all and want to express our condolences. We Love you and will keep Joe in our hearts forever. The world has lost a true gentleman! Please accept our heartfelt condolences! May God comfort you and wrap you in His peace and love, during this difficult time! I never met a person who touched me the way Jo Jo did.I will be forever grateful for everything you taught and did for me.I am heartbroken...My heart goes out to Debbie and your family.May God Bless you all with strength and Love. TO THE ENTIRE WHITE FAMILY: PSALMS30:5 Weeping may endure for a night but joy cometh in the morning.JOJO'S JOURNEY JUST BEGUN, DONT'T THINK OF HIM AS GONE AWAY. HIS JOURNEY JUST BEGUN, LIFE HOLDS SO MANY FACETS, THIS EARTH IS ONLY ONE. JUST THINK OF HIM AS RESTING FROM THE SORROWS AND TEARS IN A PLACE OF WARMTH AND COMFORT, WHERE THERE ARE NO DAYS AND YEARS.NO WOUND SO DEEP WILL EVER GO ENTIRELY AWAY; YET EVERY HURT BECOMES A LITTLE LESS FROM DAY TO DAY. NOTHING ELSE CAN ERASE THE PAINFUL IMPRINTS ON YOUR MIND; BUT THERE ARE SOFTER MEMORIES THAT TIME WILL LET YOU FIND. THE MCKINLEY HIGH SCHOOL CLASS OF 1965 EXTEND OUR HEARFELT SYMPATHY TO THE ENTIRE WHITE FAMILY. HE WILL BE MISS BY EVERYONE WHO KNEW HIM. WE WILL CONTINUE TO LIFT YOU ALL UP IN PRAYER DURING THIS TIME, ASKING GOD TOO GIVE THE ENTIRE FAMILY THE STRENGTH TO ENDURE AND DEPOSIT HIS PEACE THAT SURPASSES ALL UNDERSTANDING INTO YOUR HEARTS AND MINDS. GOD BLESS, SINCERLY SUBMITTED BY THE THE MCKINLEY HIGH SCHOOL OF ST. LOUIS MO. CLASS OF 1965. To the White Family, the Southside Bro's & Sis's were sadden when we heard the news. Psalms 30:5 Weeping may endure for a night, but joy cometh in the morning.We will continue to lift your family up before the throne of grace. To the White Family in memory of your loved one JoJo White. He will be truly missed. He was a wonderful man who touched many lives. I am so sorry to hear the passing of Mr. White. He was such a wonderful man. It was truly an honor to have him as a member at my church.I am praying for his family that God will surround them with his love at this very difficult time. Mr. White will be missed. God has wrapped him in his love as he now has entered God's kingdom. To a wonderful , human being , to the white family , stay strong ,my prayers are with you & Jo Jo ,he will always be in the loving care of our wonderful Lord , for whom we serve . Coach Michael Jo Jo Lyon # 10 . Like cousin Brian White stated, "Faith, Family and Basketball was your life! We are grateful for your love and the years we were bless to have you. It's painful for all your family and friends but we will carry on just like you taught us. God first. Family second. Enjoyment third. Goodnight Cousin Joseph we will see you in the morning! Thinking of you and keeping you in my thoughts and prayers as my heart hurts over your deep loss of such a wise, humble and great man. Sending love to all of you and especially to Debbie. My condolences goes to the White family for the loss of Jo jo. I am truly sorry to hear of Mr. Jo jo's passing. May our Heavenly Father provide the Boston Celtics teammates peace and a sense of comfort knowing that the things Mr. white done to benefit Boston won't be forgotten. Our condolences to the White Family. So sorry to hear of the loss of Jo Jo. He is remembered as an amazing basketball player but also as an incredible person. May those memories, especially the latter comfort you in the coming days. May God's promise of no more suffering or death give you hope during your grief. To you, your siblings, and Mom, please accept our heartfelt sympathy for the passing of a man who was a father, a husband, and I'm sure an inspiration. Continue to cherish the legacy he has left for you. May you find comfort in The Great Comforter, Jesus Christ himself. May God of all grace and peace bestow such to you in this moment of sadness, and give you strength to endure. He heals the brokenhearted and binds up their wounds (Psalm 147:3). Lean on God and allow Him to continue the process of healing your broken heart. My deepest symphony to the White family. He was a great basketball player.The Celtics were my team in the late sixties. To Jo Jo's family please accept my deepest condolences on your loss. He was taken to soon. To Jo Jo's Family: As staff writer/columnist for The Celtics via The Patriot Ledger for every season through l976 and with the team for our championships in '74 and '76 I shared time with him and had very close personal discussions on his game. He was very generous in his responses to me which I will always remember as candid and professional. To Brian, as a toddler in the Phoenix finals you gravitated to my wife and wouldn't go anywhere unless she held your hand. It was so adorable. Bless you Jo Jo. Quite a player and your game 5 effort vs. the Suns was one for the ages. Give Red a big hug. He loved you. What a gentleman, athlete, Husband,father,scholar Jo Jo was special I thank God for him.my prayers go out to his beloved family . We will miss him but we will not forget him. Rest in peace Mr. White, there is nobody that can take your place , you truly were the greatest there was. You have earned your wings, take your place on the Throne. We are deeply saddened by your passing, sometimes God needs beautiful flowers for his garden. As a native New Yorker and a New York Knicks fan, how could I ever forget Jo Jo White? His cool demeanor and brilliance on the court had to be acknowledged by any true basketball fan. He was a Knicks killer, but simply put,the man could play some ball. His induction to the Hall of Fame was way overdue. When the Lord Jesus awakens the dead, (John 11:11-14, 25) Jo Jo is one of the many that I hope to meet. In God's new system of things, Jo Jo will have perfect health and will have the precious opportunity of living forever. (John 17:3) Please accept my deepest thoughts of sympathy in the passing of Mr. Jo Jo White. Rest in paradise, Jo Jo White. Growing up on the Southside of St. Louis, Missouri, I vividly remember Jo Jo White. We from the Southside will always remember Jo Jo and his beautiful legacy. My deepest condolences to the White family. So sorry to hear about Jo Jo's passing. May You All be comforted by the God of all comfort in your time of sorrow. Please know you're in our thoughts and prayers! We will miss seeing Jo Jo walking the neighborhood! My condolences to you Debbie and family. This is Doug Macomber . You helped me buy my 1st home. I said is JoJo you're husband? I also did work for you & JoJo. That's irrelevant just trying to remind you who i am. I always liked JoJo as a player, but behind the scenes he was as good man. If i can ever do something for you please ask me? Im not talking about work . You take care, call or email me. My condolences ,sincerely my daughter Angelina & Doug Macomber. May the great b-ball and father ,uncle,son rest in peace !! god is taking a great care of JoJo! ! He's watching the Celtics and there going step up there game! In his memory. ..
Just a great basketball player and all around wonderful human being. Miss you Jo Jo ! ! With heartfelt sympathy .Please accept my deepest condolences. May you continue to cherish her precious memories together. May you find comfort in the God of all comfort to offer you comfort and to give you the strength to endure during these difficult times ahead. Your in our ptayers, will never forget the good times. Linda, Art & Sam. From Rochester N.Y. SO SORRY TO HEAR OF THE PASSING OF JO JO WHITE, LEGEGENDARY BOSTON CELTIC. MY DEEPEST SYMPATHY TO HIS FAMILY. To the White family. From Rochester New York. Micheal (Tree) Swinton and family would like to extend our deepest sympathy to the family. May God continue to watch over you. May the family find peace and comfort in knowing all sickness, all pain and death will one day be gone for this has been promised. Sorry for the loss. A great player will be missed.Comfort to family and close friends.Isa.26:19. Sending heartfelt condolences to the entire White family on your loss. I was born and raised in St. Louis, Mo. just like Jo Jo and basketball legend on the South side. I wish I could have met him but I lived through each and every story my mentor Kenneth Franklin spoke about him.....now they are back together again lacing them up and drinking orange juice. RIP JO JO. My deepest sympathy to the White family. May the God of comfort grant you strength during this difficult time. May the God of all peace bring comfort to the White family and friends at this difficult time. Debbie and family - my sincerest condolences on your loss. In the short time I knew him, when I lived and worked in Rochester, he was truly a gentleman. May your many happy memories sustain you in your time of grief. Sorry for your loss. May the God of comfort be with you at this time of sorrow. My sincere condolences to Debbie and the White family for your loss. May he Rest In Peace in a better place in heaven. Wonderfully smart, instinctive, and skilled, Jo Jo could do it all at the guard position. A true professional, All Star, champion, and Hall of Famer. Though my allegiance was with one of Boston's rivals, I still derived joy from watching those old-school Celtic teams execute with artful precision. Jo Jo was the valuable "point" in that offensive scheme, and he was a defense standout as well. Rest in Peace, Jo Jo. Our thoughts are with the family at this most difficult time. Please accept our family condolences. May God Almighty be your strength and support in this time of sorrow. Within your heart your and memory your love one will always be close by. My prayers are with you and your family during this difficult time. My condolences to the family on the loss of your dear beloved one. May the God of all comfort, comfort you and grant you peace now and in the days ahead. Godspeed Jo Jo, and thank you for sharing a part of your life with us. An excellent player and an admirable man. Thanks for the memories JoJo. My heart goes out to the family of Jo Jo White. What a legacy! May you find comfort in the wonderful memories you shared together and may the God of tender mercies and all comfort be with you at this difficult time. JoJo gleaned great joy from his game of choice. That true sweetness for it never left his taste buds. Formidable challenges brought his zeal to the fore. I am glad that he realized much of his dream. My compassion to family and relations. Psalms 62:11,12.